Indy Eleven Professional Soccer is pleased to announce the signing of former DC United (Major League Soccer) forward Dane Kelly to its 2019 roster pending league and federation approval. Kelly currently tops the USL Championship’s all-time goal scoring table, having netted 67 regular season goals since his league debut in 2011. The 27-year-old has appeared in lineups for Charleston Battery (2011-2015), Swope Park Rangers (2016), Reno 1868 FC (2017) and Richmond Kickers (2018). Kelly earned a slew of accolades at the conclusion of the 2017 season, including being named USL Championship’s Most Valuable Player and was named to the All-League First Team. Additionally, Kelly claimed the 2017 USL Championship Golden Boot after recording 18 regular season goals. 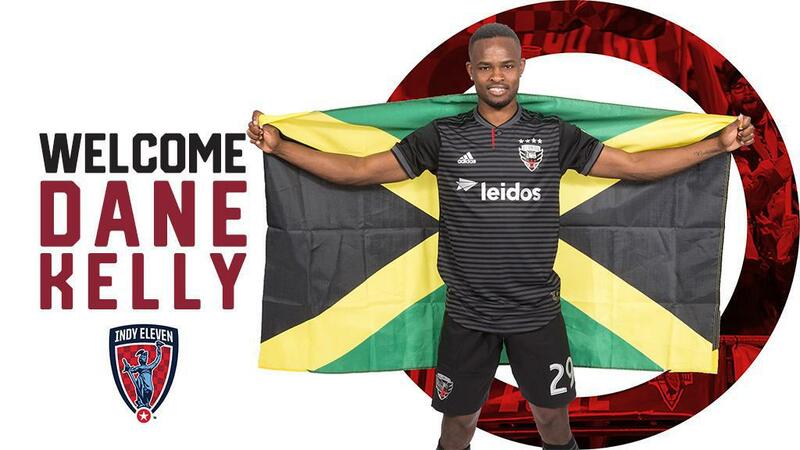 Last season, the Saint Catherine Parish, Jamaica native made his MLS debut as a late-match substitute for DC United on March 31. Outside of regular season action, Kelly started at home in United’s fourth round US Open Cup 1-1 draw (4-3 on penalty kicks) against USL Championship’s North Carolina FC. The former Tivoli Gardens (Red Stripe Premier League) attacker has made four appearances for the Jamaican Men’s National Team, making his debut in an international friendly against Canada on September 3, 2017. He scored his first goal and assist for the Reggae Boyz in his second international cap in a 2-2 draw against South Korea on January 30, 2018. Kelly scored his second international goal last October in Jamaica's 6-0 Concacaf Nations League Qualifying win over Bonaire.